Now is the time to find the home of your dreams! The Galang Team understands the intricate details involved in today's real estate market. If you are planning on buying a new home in addition to selling a current home, we will be able to assist you in finding your dream home while simultaneously helping you to sell your current home. With so many homes to choose from you owe it to yourself to take the time to look at each and every one that may suit your needs. You will quickly discover that finding the perfect home is not as hard as you may think. Through our website, you have the ability to search virtually every home for sale through our free MLS Search. In addition to accessing houses and real estate for sale, we hope you find valuable information in our website that will help guide you in making the right buying or selling decison so that you may soon find yourself in the home of your dreams! • You're late on your mortgage payments or in a loan you can't afford. • You're upside down on your property and you owe more than the property is worth. • Your mortgage is going to adjust soon and you will not be able to afford the new payment. • You're in a hardship and can no longer afford your home payment. For more information about Orange, Riverside, LA & San Bernardino County real estate, The Galang Team will be happy to assist you. 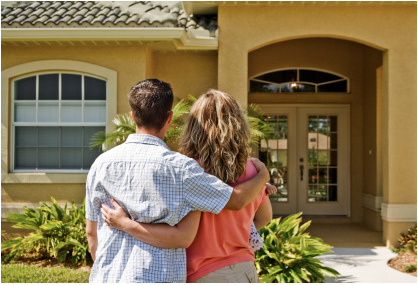 We will work closely with you to help you find that perfect dream home you've been looking for. We have extensive real estate knowledge and will help guide you in your buying process. We look forward to building a solid relationship with each of our clients to ensure your next purchase will be an enjoyable experience. Click to visit us on Facebook! REO homes are bank-owned properties generally priced below their appraised value. In many cases, special financing and programs are available. Take advantage of industry-low rates and market conditions. Upside down on your home? Regardless of whether you are in foreclosure, if selling your home will not net enough to pay off your existing mortgage, you may want to consider selling on a short sale. For several years, there was little reason to sell on a short sale, but times have changed. - Minimal damage to your credit. - Banks forgive part or all of your loan.